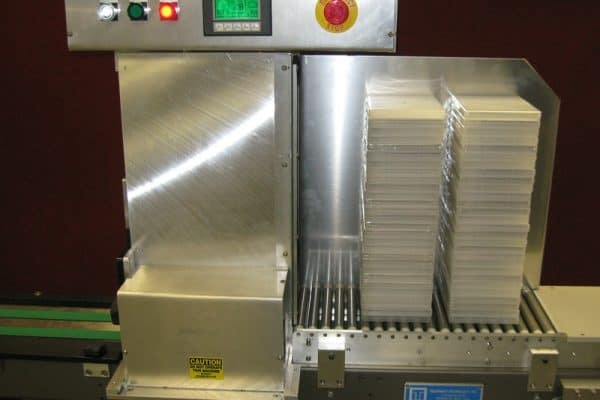 A CD/DVD manufacturer needed an automated process to stack cases and convey them to an area for cartoning. 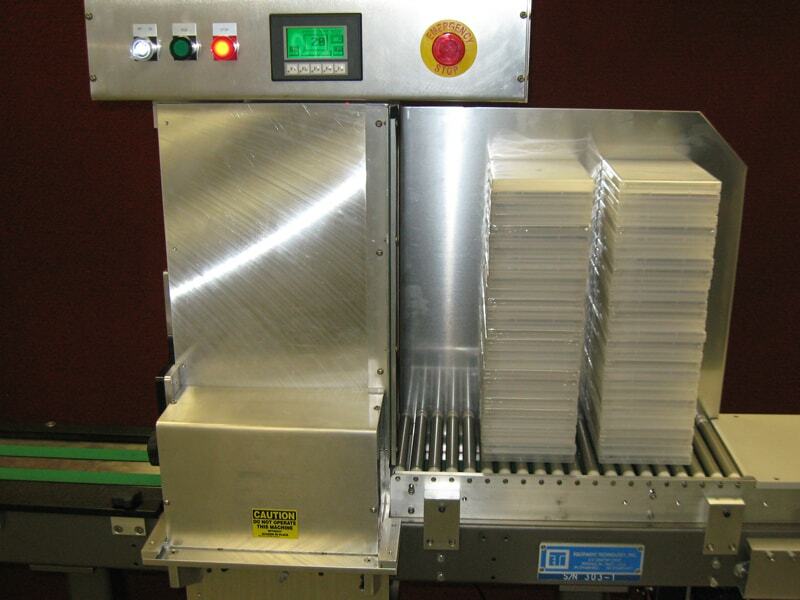 Workers had been stacking the CD/DVD cases by hand, which slows production and adds to unnecessary labor costs. ETI designed an end-of-the-line, high-speed stacking machine that handles all of the work. The cases are fed into the hopper and stacked in heights ranging from 5 to 50 depending on case size. 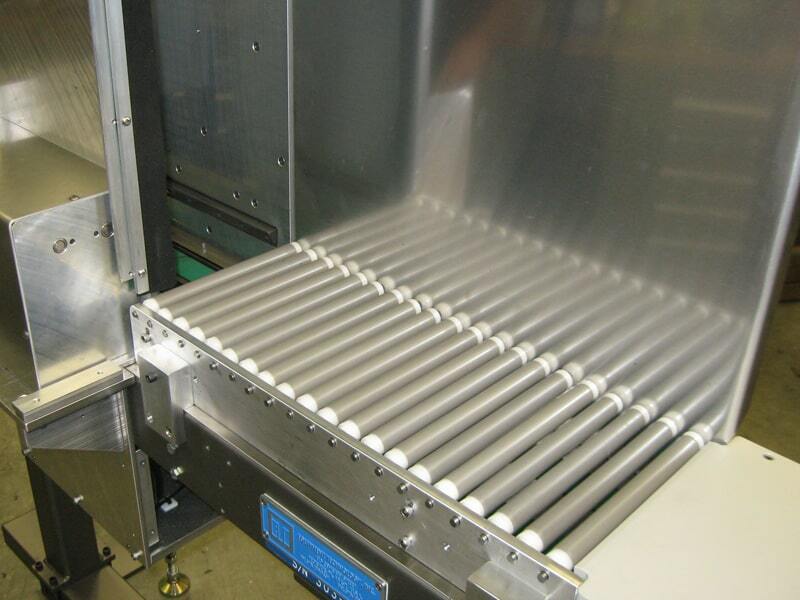 Stacks are conveyed to a work table for final inspection prior to packaging or passed along for further processing. 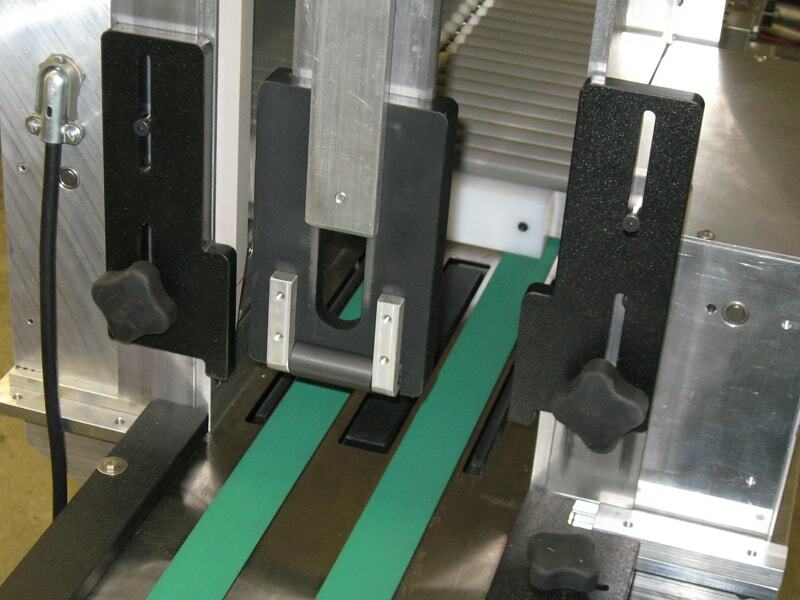 This upstacker offers an extremely easy no-tools changeover for switching products. 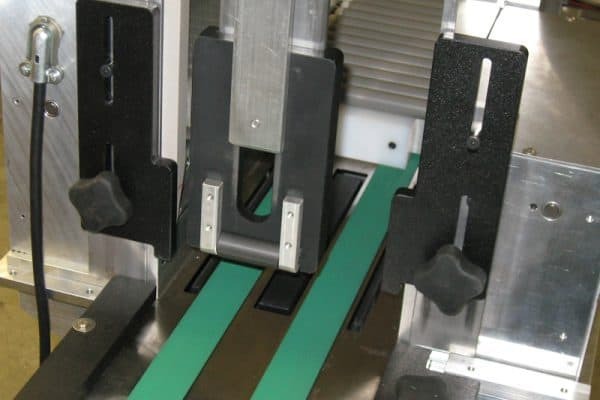 It is also programmed with a quality control eject feature which allows the user to preset the system to eject a sample piece at regular intervals for full quality control evaluation. 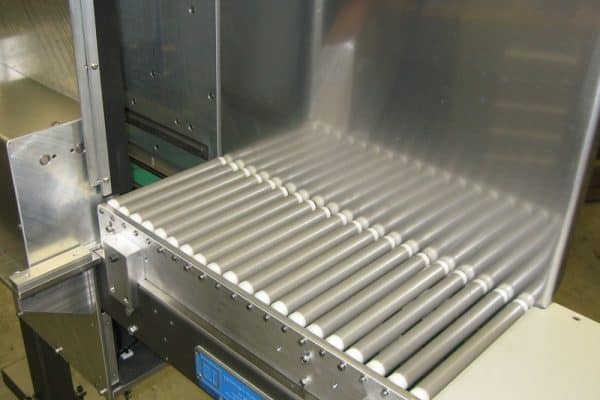 Integrating this new system to numerous lines reduced manual labor, improved QC, and led to considerable cost savings over time. Designed a custom, high-speed, flexible upstacker for improved productivity and cost savings.